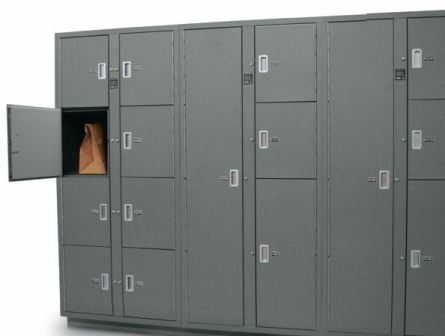 The EvidenceStor short-term evidence storage solution for law enforcement professionals is our Temporary Evidence Lockers that are specifically designed to provide an extremely secure chain of custody once evidence leaves the hands of the person who collected it, until it’s properly logged and stored in the evidence and property room. 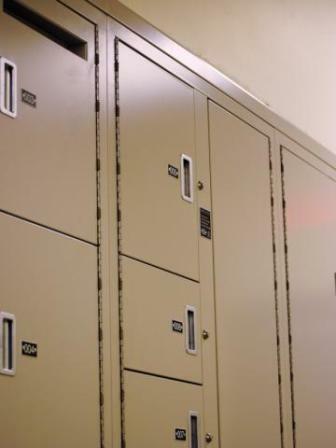 Temporary Evidence Lockers serve as an airtight, unattended evidence drop-off system. 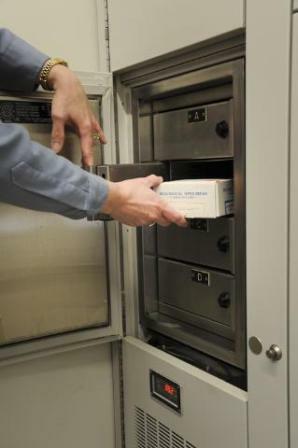 Officers can securely deposit evidence day or night without having to deal with keys or combinations, or rely on an evidence technician to be called in after hours. 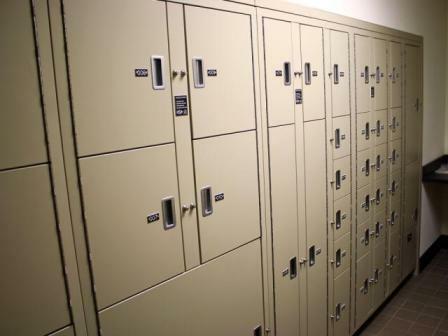 We offer two types of Temporary Evidence Storage Lockers: Pass Thru and Non Pass Thru. 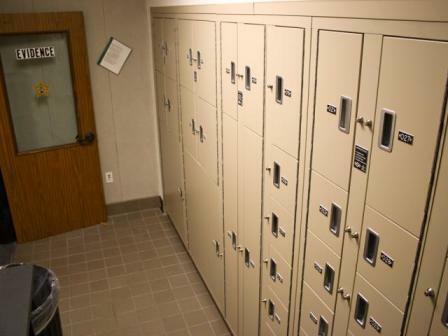 Pass Thru Temporary Evidence Lockers are built into the wall that separates the drop-off area from the property and evidence storage room. 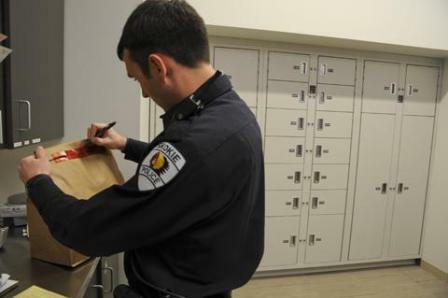 This allows the officer to deposit the evidence on one side while the technician retrieves it from the other side. 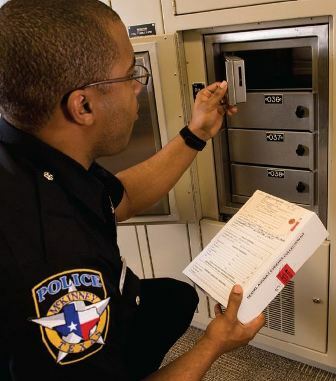 Because the door on the evidence technician’s side is full-size, they can easily remove all the items and reset the locker openings on the officer’s side for use. 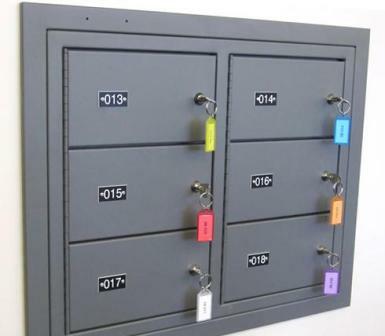 An optional front-lock-out system can be used to automatically lock the front doors when the rear door is opened to prevent unauthorized access to the evidence and property room through an unlocked evidence locker opening. 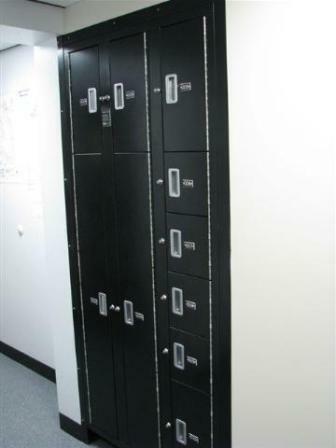 Also available is a mesh rear door for a visual accounting of evidence storage. 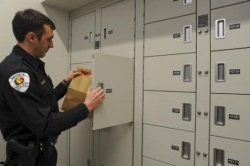 With Non Pass Thru Temporary Evidence Lockers, the officer deposits the evidence and the technician retrieves it from the same self-closing doors without the need for keys or combination locks. The evidence can only be removed by authorized personnel. 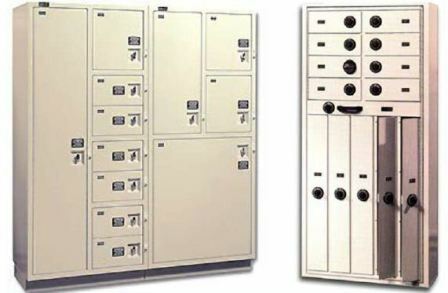 In addition the Non Pass Thru Temporary Evidence Lockers easily mount against a wall for an easy conversion to a pass thru configuration in the future.